Are the Curva Sud right? Do these guys deserve the title of "campioni?" The high point for me in the match was the Milan goal. Not for the obvious reasons. 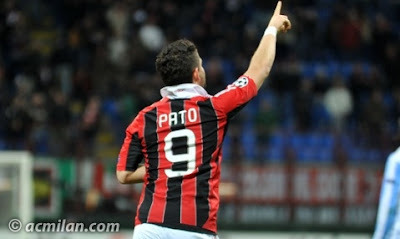 It was Pato’s first goal back from injury, which will help us a lot to have that mental barrier removed. He’s back. And he scored the header from a perfect cross from Constant, who is also impressing. It was also Málaga’s first Champions League goal conceded, too. That’s right, Willy, who has the killer instincts of an Orca, was set free at the same time Pato got his mojo back. Coincidence? I think not. Allegri, in a rare move for this season, chose the formation and a similar lineup that worked well for us in our last game. So apparently, I’m meant to give him some kind of award. But many people online agree that this was our best lineup, and I can’t really argue. So it begs the question: Can we be competitive with this team? We know Pato is world class, but can he stay healthy and keep his form? A lot of factors are involved to answer that question. For example, Abate was taken off in the 6th minute for De Sciglio due to an injury. (Hope it's not serious!) A couple of other players picked up knocks during the game, let’s hope they aren’t anything major. So injuries could easily thwart our attempts at winning anything this year. Similar to the Chievo match, Bojan had a pretty good game, and so did Urby. In fact, Urby was beast, probably my man of the match. Montolivo did well again, I remember him making a clearance as the last defender somewhere around the 55th minute, and he was involved even more offensively. El Shaarawy was marked very well, but still played to the level we’ve come to expect until he was subbed off.. The Big Game Bonera™ showed up, too, making some key clearances such as in the 29th. De Sciglio was quite the blessing, actually, maybe it was divine intervention that sent Abate off, but De Sciglio was brilliant. For example, in the 78th or so, he was harassing and defending like an old pro. Is he the LB we've been looking for? Constant is often criticized. And yet he is transforming our left side. He had a couple of shots, defended like a beast, and so many crosses and passes. Including the cross for Pato’s goal. While he seems a little rough around the edges yet, he is a glimmering diamond in the rough. If given enough time, I know he can play well and be a difference-maker on that side of the pitch. Is Bojan the trequartista of Allegri's dreams? Pato put in a solid performance, but had to be buoyed by getting the goal. It will be interesting to see if he can stay injury free and also if he can regain his old form. De Jong was tough, and did well enough with the passing. Although I believe Bonera had the most passes on the night for us. And he didn’t get a yellow, which would have left him suspended for our trip to Anderlecht. Neither did Mexes, for that matter, who is in the same boat on yellow cards. Mexes didn’t have his best performance, but he was still pretty solid. And Abbiati was solid, too, he certainly can’t be blamed for the Málaga goal. We got 3 yellow cards tonight, one each for De Jong, Urby, and Montolivo. But that’s okay, Málaga got four yellows, which surprised me with the consistently inconsistent and incompetent reffing from Howard Webb. One of the most breathtaking moments of the match was Urby’s beautiful free kick in the 28th, which forced Willy into a nearly equally beautiful save. Any other keeper, any other day, that spectacular curling ball was going in. Can Urby fill the void of our heroes who've moved on? Obviously, Allegri’s hand was forced with Abate’s injury, but that 6th minute sub may have just been his earliest ever. After that, he waited until the 62nd to bring on Boateng for a mildly tired looking El Shaarawy. I guess he was protecting our assets? And finally, in the 80th, He brought on Robinho in the 80th for Urby, the other player he seemed to think he would need to rest when he spoke to the media last week. Interesting that both of these subs were starters last year, yet the performances of the players who did start tonight made them seem more like the subs they were. Milan had some good stretches of the game where they dominated play and created a lot of chances. But we were also dominated for stretches ourselves by the minnows Anchovies. Just because Málaga are new to the Champions League doesn’t mean they can’t contend at all. However should they be top of this group? The results don’t lie. Whatever our collective experiences are, what happens on the pitch is what determines the standings. Anderlecht did us a big favor by beating Zenit today, but we still have to put in good performances in Belgium and back home against Zenit if we are to move on to the Round of 16. Are we good enough? 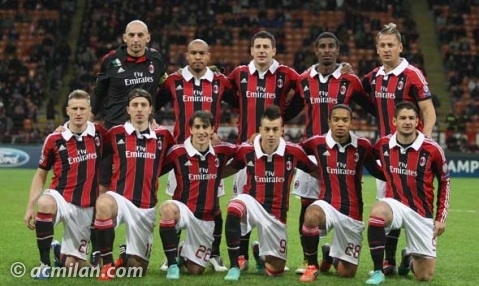 Can this starting 11 live up to Milan's standards? If this is our best lineup, and if it was a good performance, but we only got a draw to the minnows Anchovies, do we deserve that spot in the Round of 16? Is this as good as it gets? I say no. I think we can do better. And I have been saying it since matchday one this season. Whatever Allegri may be doing right on the pitch, he has poisoned the mentality and discipline of the squad – old and new, and it will continue unless we make a change. Despite the win vs. Chievo on Saturday, and being the only team to score against the gritty Málaga today, I think we can do more, I think we can be better. Yes, even with this squad. With a change of any kind on the bench, I believe this team will play more consistently and get more results. The alternative is to resign ourselves to the fact that this is as good as it gets. And I am no quitter. Is our best good enough? 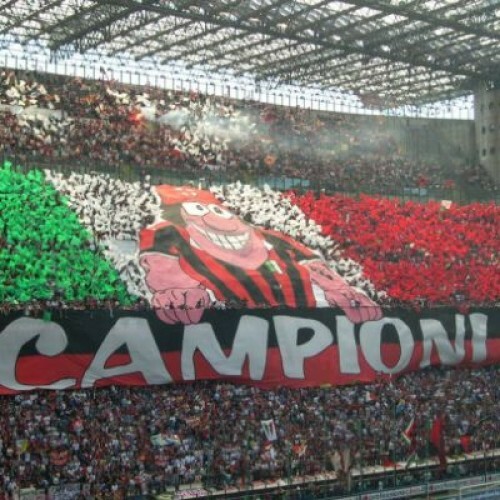 ac milan budget milan™ Champions League character draw injuries málaga pato remember when I had a co-blogger?